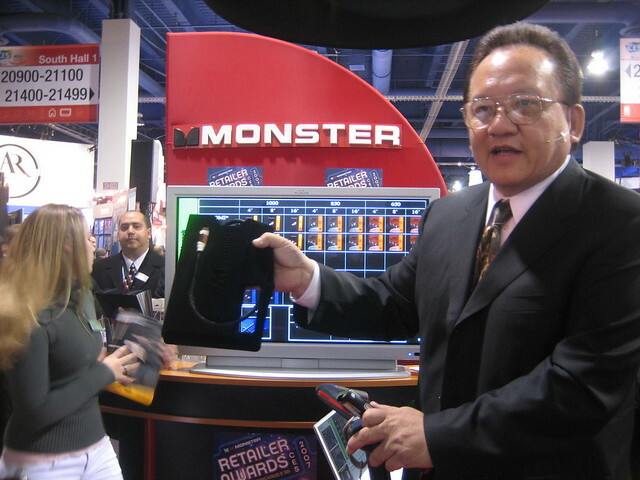 Monster’s founder and CEO in happier times – 11 years ago. Now things are much worse. Photo by giiks on Flickr. A selection of 11 links for you. 3G and two bars will do. I’m @charlesarthur on Twitter. Observations and links welcome. some of the most surprising elements of those intrusion operations are the ones that got the Russian hackers caught red-handed: Parking vehicles outside of target buildings, and infiltrating Wi-Fi networks to hack victims. Over the past year, 65% of UK internet users and 80% of US users have bought something from a Stripe-powered business, although very few of them knew they were using it. Where PayPal injects itself into the checkout process, Stripe operates like a white-label merchant account, processing payments, checking for fraud and taking a small percentage: 1.4% plus 20 pence for European cards and 2.9% plus 20 pence for all others. The buyer sees the seller’s name on their credit card statement and, unless the merchant specifically chooses to deploy the Stripe logo, that’s all they’ll ever see. On February 24, 2016 the company launched the Stripe Atlas platform, designed to help entrepreneurs start a business from absolutely anywhere on the planet. The invitation-only platform allows companies from the Gaza Strip to Berwick-upon-Tweed to incorporate as a US company in Delaware – a state with such business-friendly courts, tax system, laws and policies that 60% of Fortune 500 companies including the Bank of America, Google and Coca-Cola are incorporated there for just $500. Would be great if Delaware would also reform itself so that you could trace ownership of businesses registered there, and bring dirty money to account. Hardly Stripe’s fault it would use it, though. A bug with the complications on the new Infograph faces in Apple Watch Series 4 is causing some very unhappy Watch owners today. Users in Australia have just experienced the daylight saving time change and are finding their Watches are now stuck in reboot loops. The Activity complication on the Infograph Modular face draws a timeline graph of the current day, showing hour-by-hour data for Move calories, Exercise minutes, and Stand Hours that make up the Activity rings. In a typical day, there are obviously 24 hours. Although the exact problem has not yet been diagnosed, it appears that the large Activity complication simply cannot handle drawing its graph with one of those twenty four hour missing. It would be hard to think of something guaranteed to throw off computers than daylight saving time. Apple has been very firm in denying all this, as has Amazon. Quite where this goes next – lawsuits? – is unclear. Apple’s [Mac repair] bulletin states that repairs to a laptop’s display assembly, logic board, upper case, and Touch ID board will require Apple’s secret software toolkit. In case you weren’t counting, that’s pretty much everything but the battery. On desktops, the logic board and flash storage are affected. But how? There’s a lot of noise about supply chain infiltration recently. I wonder if anyone at iFixit has considered that this might be Apple looking to offer customers protection against (1) counterfeit items (2) surveillance items and (3) people trying to hook covertly into the Secure Enclave? That was what Error 53 was about too. Apple is nothing if not consistent. Warren pointed out on Twitter that Microsoft had been warned about this via the Windows Insider program, yet seems to have thought it fixed. there’s another trick a bad BMC can do — it can simply read and write main memory once the machine is booted. The BMC is well-placed to do this, sitting on the PCI Express interconnect since it implements a basic graphics card. This means it potentially has access to large parts of system memory, and so all the data that might be stored on the server. Since the BMC also has access to the network, it’s feasible to exfiltrate that data over the Internet. So, finally, what do we learn? In essence, this story seems to pass the sniff test. A change in the code (even later reversed) would show up in the repository, surely? Notable, though, that technical people think this attack entirely feasible. Wikipedia: still better at this sort of thing than most of the internet (and many bits of media), and still largely immune from cat-and-laser pointer attempts to distract it. 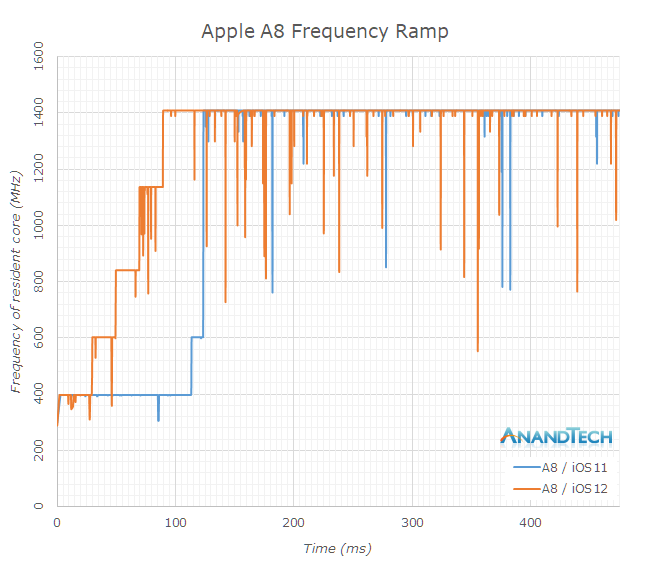 Most of this multi-page review is just benchmark gobbledygook to me, but this page and those graphics really stand out because it shows iOS 12 getting performance improvements of as much as 50% on old hardware, through tweaks to the core OS. There was a time, not long ago, when Monster was on everyone’s ears. From 2009 to 2012, its sales of headphones, audio equipment and cables grew tenfold. That year, the company sold a billion dollars of gear, including the hit Beats brand. CEO Noel Lee hung out with music royalty like Lady Gaga and Mary J. Blige. Now Monster is ailing, as is Lee, amid a fight with a former executive. Its sales have plummeted nearly 95% in five years. Retail stores such as Circuit City and RadioShack that once sold its wares have gone belly-up. Its partnership with Beats dissolved before the headphone maker saw a $3.2bn payday in its sale to Apple. A February Super Bowl ad, the company’s first ever, was a dud, with Marketing Week rating it a “loser.” And new ventures into online gambling and cryptocurrency have gone nowhere. A company that once hung its name on San Francisco’s Candlestick Park is fighting for its life. While Lee proclaims that the company he founded four decades ago will see another 40 years, the company started laying people off in September. Its South San Francisco headquarters now occupy just part of one floor of an office building. It shut a distribution center in Las Vegas late last year. In May, it reported having 139 employees, down from 800 a decade ago; the company won’t say how many remain. Amazing; it relied on retail outlets for its products (which always promised far more than they could offer). That 95% fall in sales, though? They should be paired with HTC – which was also involved in Beats’s early years. re. Apple repairs: I understand the need to check and maintain absolute integrity on *some* computers. I think Apple’s position is both overkill and self-serving fopr *most*: this prevents people from fixing issues themselves or via 3rd-parties, and from switching. – a very old lady who lost her husband 3 yrs back, forgot her iPad and iCloud and all passwords and messed it up several times so it’s locked down, with all her latest pics of him on it. I got the iPad, she just found the invoice… My plan is to go beg Apple support for help ? Just the pics back, never mind the iPad and the rest of the data ? She’s very distraught. – a 69 yo relative who’s messed up his Apple and Mail accounts and can’t remember his me.com mail password, and used a forgotten mail account as backup, and can’t seem to type the security questions *exactly* as he typed them in initially. So now he’s carrying 3 phones ‘coz he lives in 2 countries + needs access to his mail. The plan was consolidate all that to a single dual-SIM phone. Apple security is the ultimate lock-in in this case. There can be too much security. I’m glad I can get back into my home by borrowing a ladder when I forgot my keys, I woudln’t want to be locked out of it definitively. And strong client security is a misdirection, when you host servers in iffy countries. Hasn’t every iDevice they ever wanted to hack, always been hacked in the end ? re. the chip hack. Linux considers that no computer is safe once you have physical access to it, even just its keyboard.That chip is “embedded physical access”, and more. re. Supply chain integrity: that’s a pipe dream: someone at Amazon just got caught selling secrets ? You can’t just certify companies, you’ve got to certify employees, subcontractors, trainees, their partners, janitors. My dad used to work on a project with Russia 35 yrs ago… what did the janitor in was the burning hot photocopier early in the morning. That was back when things where on paper, probably easier to track and lock down. I’ll focus on the negatives, since you focused on the positive. – Battery life still not that great. Will probably be less bad on the XR. I’m not on board with the trend to extreme computational photography. 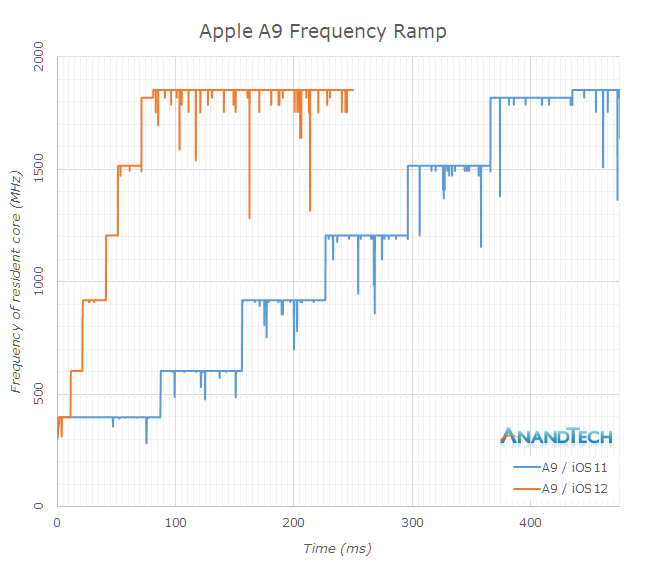 There are too many misfires; it’s OK as an optional mode, but not OK as a substitute for solid optics, which not only Apple but most OEMs seem to be saving money and space on. We’re getting fake (often messed up bokeh), with subpar color fidelity, dynamic range, width of field, and color fidelity. That’s backwards, that bokeh is a cheap misdirection. Again, not only Apple ! (*) that’s sad because iOS has really excellent games and hardware. I think there’s something to Androids getting “gamer” phones with heatpipes, large batteries, lower-rez screens that prioritize smoothness over details, and a few software tricks (automatic DND mode and cleaning of background processes which Android isn’t normally aggressive about…). Not right for most people, but right for gaming. Re: Monster: but we’ve got Anker now. Anker does everything Monster used to do, but with less marketing fluff, better product, and much, much better value (except that “Nintendo” battery pack, licensing is a con). Creative destruction FTW !